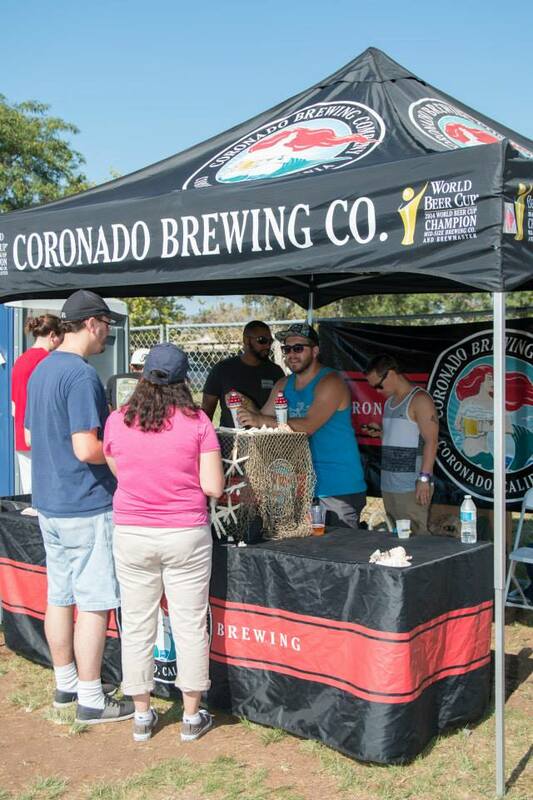 San Diego CityBeat and the Mira Mesa Chamber of Commerce present the 5th annual Mira Mesa Festival of Beers, taking place on Saturday, August 13, from 2-5pm (1pm for VIP) at the Mira Mesa Community Park. 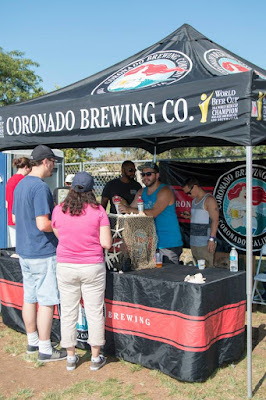 There will be over 30 breweries pouring over sixty different beers, live music and food trucks, all in a beautiful outdoor park setting on what will most definitely be a beautiful San Diego afternoon. SanDiegoVille has 2 VIP passes for one lucky reader as well as promo code SDVILLE for $5 savings per ticket. "The Mira Mesa Festival of Beers has turned into a wonderful, fun event for everyone, showcasing over 60 craft beers from more than 30 breweries, most brewed right here in San Diego," explained event organizer Kevin Hellman "We also support local live music and will feature San Diego Music Awards winners, The Routine. Best thing is that all proceeds benefit the Mira Mesa Community Foundation, so the ticket money stays right here in the area." 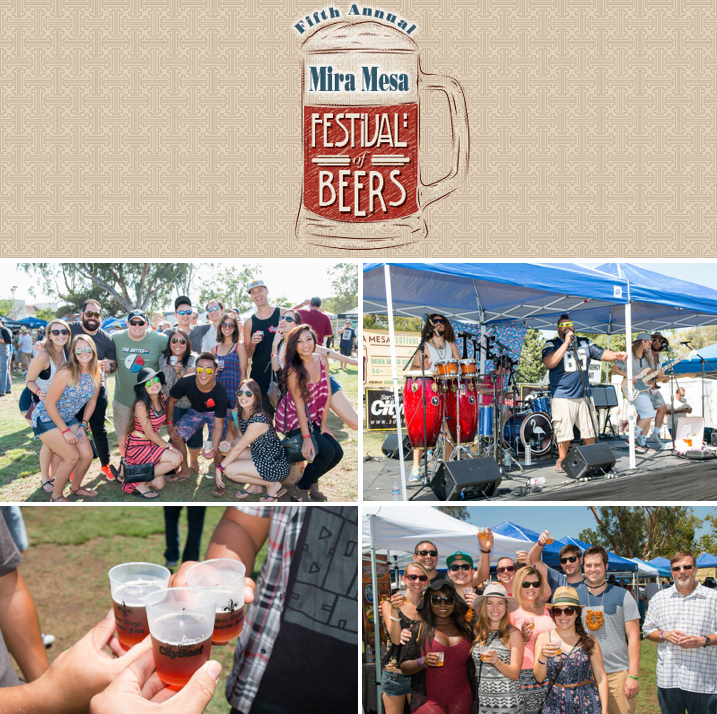 Participating breweries at the Mira Mesa Festival of Beers include Ballast Point, Mike Hess Brewing, Amplified Ale Works, Council Brewing, Culture Brewing, Bay City Brewing, Duck Foot Brewing, Green Flash, Lagunitas, Alesmith, Sierra Nevada, Avery, Elysian, Saint Archer and many more. Food will be available for purchase from local vendors. Tickets are $45.50 for VIP and $37.50 for General Admission, but promo code SDVILLE saves $5 per pass. Tickets go up $5 each at the door on the day of the event. A general-admission ticket is good for unlimited 2-ounce tasters while a VIP ticket also gets an extra hour of tasting and in-and-out privileges all day. Limited Designated Driver tickets are available for $16.50. Tickets can be purchased online. The Mira Mesa Festival of Beers takes place at Mira Mesa Community Park adjacent to the Recreation Center, located at 8575 New Salem St. For more information, visit miramesabeerfest.com.